Marie Christine and I opened the John Ridgway School of Adventure (JRAS) in 1969, with Three Principles; ‘Self-reliance’, ‘Positive Thinking’ and ‘Leave People and Places better than you find them’. Over 35 years, more than 12,000 people attended our Young People’s Courses and Team-Building Courses for adults. 13 Books were written and several television films made. Now we have adapted to different times. Our elder daughter Rebecca (first woman to kayak round Cape Horn) is running her own Ridgway Adventure www.ridgway-adventure.co.uk from the re-built JRAS buildings across the loch at Skerricha. Marie Christine and I retired on my 65th birthday in 2003, and set off to sail English Rose VI round the world for a third time, following the track of the wandering albatross through the Southern Ocean. This was a kind of personal statement, a small payment, in thanks for all the summers. Together with Nick Grainger, intrepid 1971 JRAS Instructor, we tried to help prevent the extinction of the Albatross. Our rickety voyage grew bigger as we progressed through the Southern Ocean; with the Prime Minister of New Zealand starting us off on the Leg to the Falkland Islands, where the Governor’s party came out to meet us in small boats. Tower Bridge was lifted as we returned to London. And we flew on, to speak at the United Nations in Rome, presenting our Save the Albatross Petition with 105,000 signatures from 131 countries. 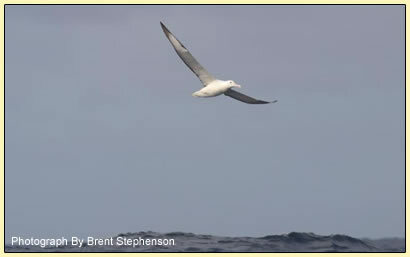 From this grew the Albatross Task Force. Our home is still in the crofthouse, on the hillside above the loch. Those staying in the houses on Ardmore, have the option of a day’s sea kayaking, rock-climbing, hillwalking, or survival at Ridgway Adventure across the loch at Skerricha. Or, they can simply relax and enjoy the peace and quiet, far from the road. 1. The whitewashed stone crofthouse next door, where we lived for the first 15 years. 2. The Watcher’s House, half way up from the shore. 3. The Wooden House under the wood.